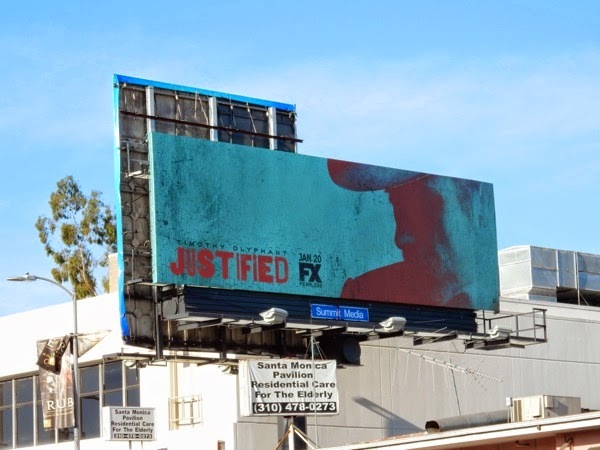 To say that Justified has always had fantastic season promo billboards is an understatement, and the series is certainly going out on another high note with this excellent sixth and final season billboard. 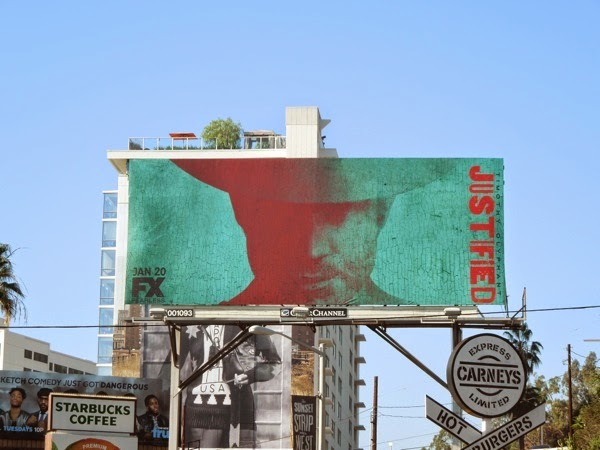 This ad creative with the face of Timothy Olyphant half in shadow with a texture resembling cracked paint or tree bark, really adds some depth to the modern lawman character of Deputy U.S. Marshal 'Raylan Givens', plus evokes that Old West feel. It's nice to see that FX isn't stretching out the series based on Elmore Leonard's short story 'Fire in the Hole' into a seventh season just for financial reasons, and hopefully this sixth outing will wrap up the Kentucky-based crime drama satisfactorily for the show's many fans. 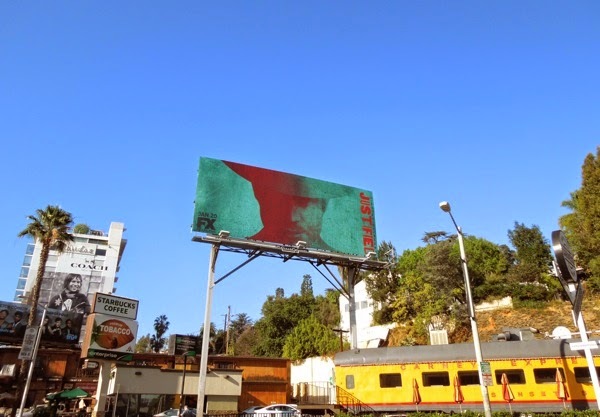 This colourful Western-style billboard was snapped along West Hollywood's Sunset Strip on December 6, 2014. 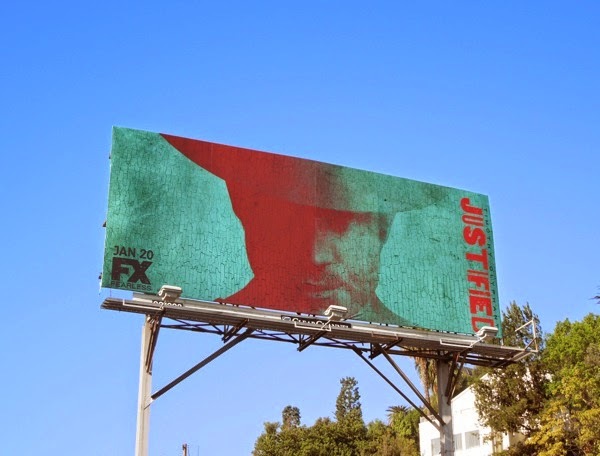 If you're a fan of the series, be sure to also check out all five previous season promo billboards for Justified here at Daily Billboard. 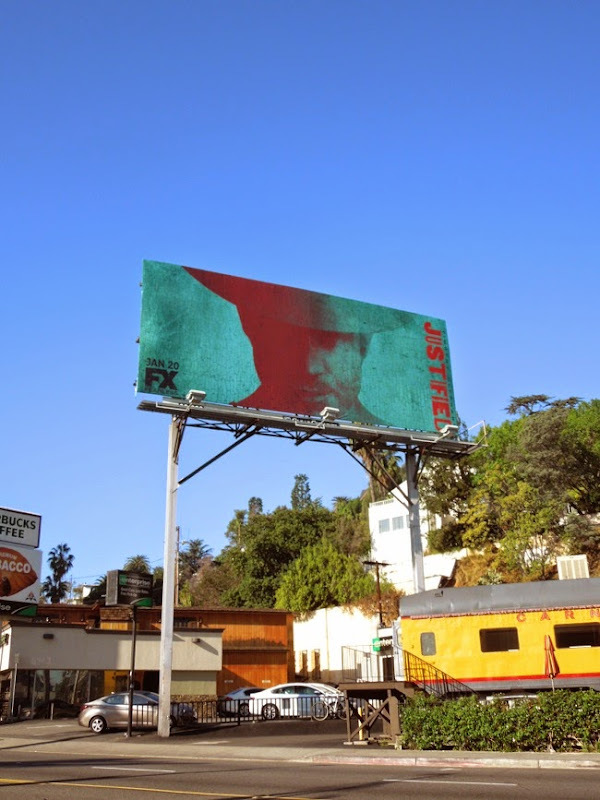 Plus you'll probably enjoy these Longmire TV series billboards too. 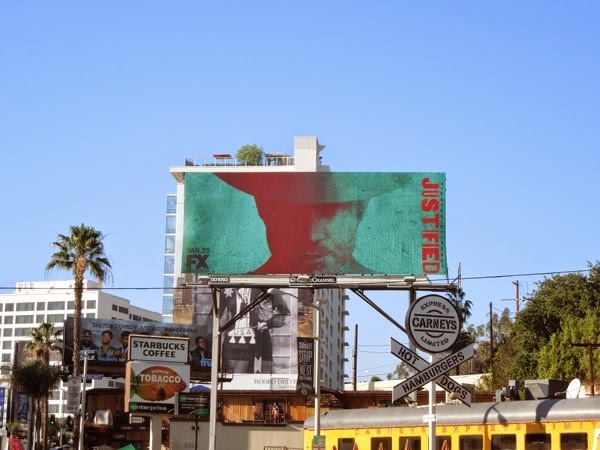 Let's hope Justified goes out in a blaze of glory, with a bang and not a whimper. 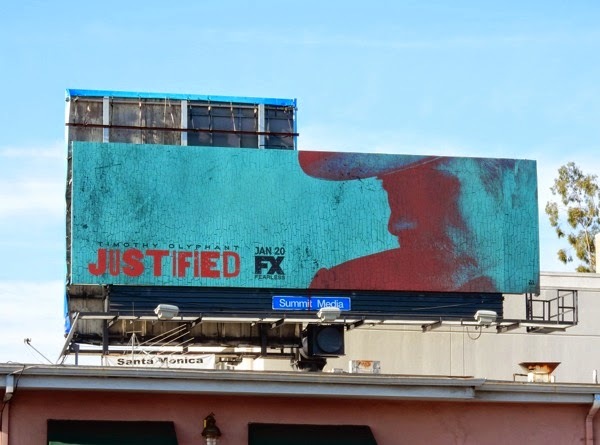 UPDATED: Here's another side profile ad creative for the final season of Justified snapped along Santa Monica Boulevard in West L.A. on January 4, 2015.